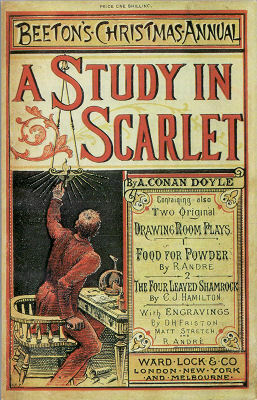 Like the body in the library, Sherlock Holmes is both starting point and end point in the history of detective fiction, a phenomenon to be explained by constructing a history of the crimes and detectives of earlier examples of the genre, by exploring narratives “retrospectively recognizable” as having affinities with a popular genre that we are still in the process of defining. The Holmes stories illustrate the self-reflexivity and sophistication that have made investigative crime literature of such interest to theorists of narrative. The critical fascination with the form and plot structure of classic detective fiction has produced so substantial a body of analysis that it is sometimes taken to be the dominant tradition of crime writing. And indeed, for over a hundred years now, Doyle’s stories have both influenced the development of crime fiction and created an inevitable point of reference. 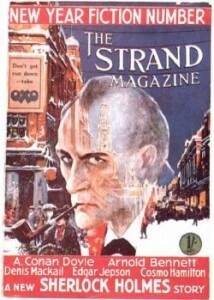 The evolution of a genre depends on a combination of continuity and change, and Holmes is unquestionably the first key figure from whom other writers differentiated their protagonists, only rivaled by the composite hard-boiled protagonist created by Hammett and Chandler in the early twentieth century…But detective fiction is also haunted by all it purports to contain. There are, for example, ambiguities inherent in the doubling of the detective and the murderer; there are numerous narratives in which the classic triangle of victim-murderer-detective is destabilized by changes in the role of the protagonist; and apparent narrative closure often co-exists with the representation of crime as irresolvable and omnipresent in modern society. A quite different kind of contradiction was explored in the work of one of Doyle’s best-known and most durable successors, G. K. Chesterton, who challenged readers’ assumptions about the efficacy and moral rightness of the ‘scientific’ investigation of crimes and put in its place the spiritual-intuitive knowledge of a Catholic priest. In over fifty stories published between 1911 and 1935, Father Brown redefined the quest for ‘the secret’ as a ‘religious exercise’ that could in effect open up a deeply disturbing connection between the mind of the detective and that of the murderer – ‘”…thinking his thoughts, wrestling with his passions,” says Chesterton’s priestly protagonist, “till I have bent myself into the posture of his hunched and peering hatred; till I see the world with his bloodshot and squinting eyes… Till I am really a murderer”’ (‘The Secret of Father Brown’ 1927). At the other end of the rational-intuitive spectrum, there were such conspicuously scientific investigators as R. Austin Freeman’s Dr Thorndyke, in stories which in their own way also complicate the balance between the ‘bloodshot’ perspective of the criminal mind and the solving mind of the detective. Freeman invented the ‘inverted’ detective story, creating in The Singing Bone (published in 1912) stories structured to start with an account of the actual crime. The intention is to demonstrate the inherent fascination of the analytic method even when the precise nature of the crime is known. But the effect is also to immerse us during the first half of the story in the actual commission of the crime – the motives, the intense psychological pressure of the moment of murder, the excruciating tension of concealing your crime – as when the murderous lighthouse keeper in ‘The Echo of a Mutiny’ gives “a gasp of relief” as he watches the incriminating boat vanish under the water: “… he was better than safe: he was free. His evil spirit, the standing menace of his life, was gone, and the wide world, the world of life, of action, of pleasure, called to him.” (The Singing Bone, 1912). The investigative subgenre of crime fiction settled into its most recognizable form in the period immediately following World War I. The influence of the clue-puzzle model has persisted, its conventions so well-established that variations on the basic elements find an immediate audience: in recent detective series, for example, Peter Lovesey’s Victorian Detective Sergeant Cribb in the 1970s; Brother Cadfael in Ellis Peter’s Medieval whodunits (1970s through 1990s); and, detecting crimes from the 1990s into the 21st century, the resilient, plus-size black female protagonists of Barbara Neely’s novels and Alexander McCall Smith’s phenomenally successful The No.1 Ladies’ Detective Agency, in which Precious Ramotswe, challenged to demonstrate the existence of women detectives, invokes the example of Agatha Christie. It is, of course, the country house murder mystery perfected by Christie that is generally taken to embody the essential qualities of the Golden Age form. Christie’s own career lasted into the 1970s, but the vintage period of classic detection was the interwar period, from 1918 until the early 1940s. Some of the writers were American, but this was primarily a British phenomenon – in addition to Christie, such writers as Margery Allingham, Anthony Berkeley (Francis Iles), Michael Innes, Ngaio Marsh, Dorothy L. Sayers, Josephine Tey and Edmund Crispin. This is the period during which the novel supplanted the short story as the most popular kind of detective fiction, and the form came to be increasingly characterized by an air of game-playing, elaborate methods of murder, several possible suspects and red herrings, an intriguing series of clues, intricate plots and a mystery requiring exceptional ingenuity on the part of the detective. Golden Age characters often comment self-consciously on the fictional devices of the novels they inhabit, drawing attention to both the artificiality of the genre and the contrived nature of the crimes represented: Griselda Clement, the vicar’s wife in Christie’s Murder at the Vicarage (1930), remarks that the pale mysterious stranger (called, of course, Mrs Lestrange) “Makes one think of detective stories” (Christie 1930: 5); Dr. Gideon Fell, in John Dickson Carr’s The Hollow Man (1935), takes metafictional references for granted, “‘Because…we’re in a detective story, and we don’t fool the reader by pretending we’re not.’” (Carr  2002: 152) This generic knowingness had an energizing and often transformative effect. The challenge was to vary the conventions in ways that were unexpected, as Christie most famously does in The Murder of Roger Ackroyd (1926), where her mischievous violation of the ‘rules of the game’ enables her to sharpen her exposure of social pretence and to make us, as readers, less secure in our expectation of comfortable closure. Although the period of classic detective fiction is arguably at the furthest remove from crime fiction’s gothic Inheritance, a variation of this kind begins to undermine rationalist detachment. The darker possibilities inherent in making your narrator the murderer were evident in a novel Christie published four decades later, Endless Night (1967), which gives readers access to the twisted, deeply unstable psyche of a man who hasn’t just opportunistically committed a murder but who has actually reveled in the act: “I loved seeing her afraid and I fastened my hands round her neck…yes, I was wonderfully happy when I killed Greta…” (Christie 1967: 293). The mysteries of the Golden Age are often called ‘cosy’, with reference to their resolved endings, the politeness of the language and conventional lightness of tone, their feminised investigators, and the circumscribed milieu in which they take place. The domestic scale of the action shuts out much that is disquieting in early twentieth-century politics and society. Under the surface, however, it is possible to discern deeper anxieties. Historically speaking, as recent critics have observed, Golden Age fiction can be seen as reacting against the bloodshed of war (Alison Light,Forever England1991: 74-5): Dorothy Sayers’ Lord Peter Wimsey, for example, is haunted by his experience of war, and the title of Sayers’ first novel, Whose Body? (1923), can be seen as evoking ‘the ubiquity and anonymity of death between the trenches…’ (Charles Rzepka, Detective Fiction 2005: 164-7). As the Dowager Duchess says, ‘he was so dreadfully bad in 1918, you know, and I suppose we can’t expect to forget all about a great war in a year or two’ (Sayers 1923: 135). The feminised detectives of the interwar years – Christie’s Hercule Poirot, Sayers’ Lord Peter Wimsey, Allingham’s Albert Campion – can themselves, in their non-violence and their reliance on intuition and empathy, be seen as a reaction against the heroic male model of wartime endeavour. As Susan Rowland argues, “The detective in golden age fiction is a new hero for the post World War I traumatised landscape” (Rowland 2010: Blackwell Companion to Crime Fiction). The trauma of a war-torn landscape is a great distance from the secluded confines of an English country house, and the formal closure of the narrative seems a guarantee of security, but there is much that makes the apparent calm illusory. The above discussion has been extracted from Lee Horsley’s chapter, “From Sherlock Holmes to the Present,” in the Blackwell Companion to Crime Fiction (Wiley-Blackwell, 2010). Click here to visit the Wiley-Blackwell site.